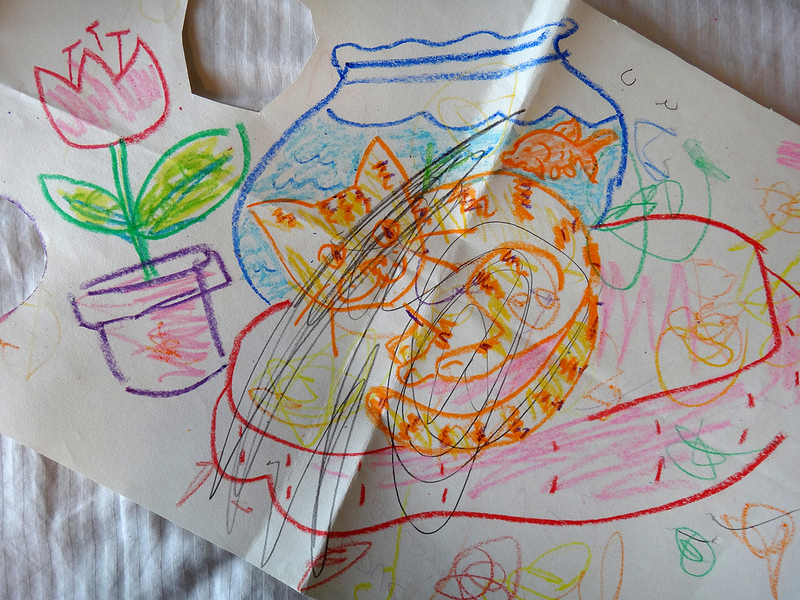 “Daddy-Daughter Drawing Time” on a big piece of scrap paper. She was petting the kitty? My guys do the same things to my drawings!